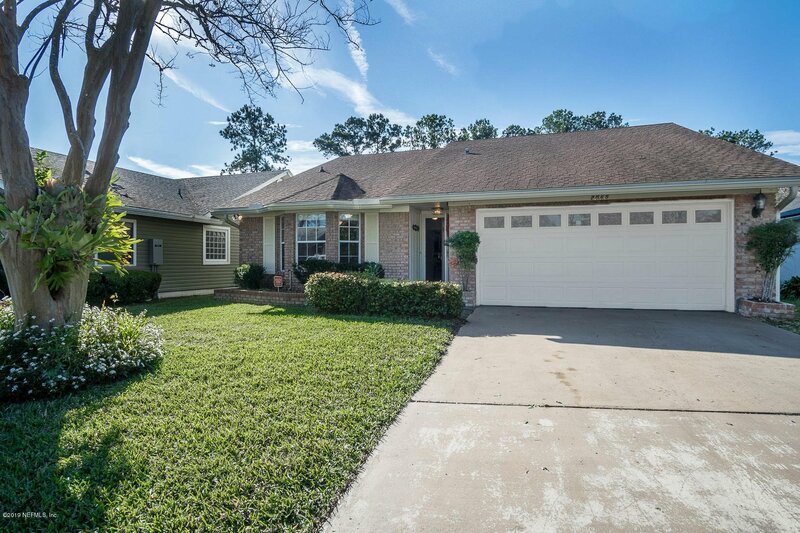 There is so much to love about this adorable 3 Bedroom 2 Bath Brick Home situated on a Lovely Lake View Lot. Be sure to take the 3D tour under the Photo link. Home features Wood Laminate Flooring throughout, Split Bedroom plan, Formal Dining Area, a generous sized Kitchen with Warm Wood Cabinets, Raised Breakfast Bar, Beautiful Granite Countertops, and Casual Eating Area. The Family Room has French Doors that provide access to a Fully Enclosed Lanai overlooking the Lake. A perfect spot to enjoy your morning coffee or relax with a beverage at the end of the day. Plenty of closet space, two car garage with storage cabinets and a dedicated laundry area. Home also has a Smart Nest Thermostat & Nest Security Camera that convey. A Wonderful Place to Call Home Sweet Home! Listing courtesy of WATSON REALTY CORP. Selling Office: RE/MAX STERLING.